This bears all the signs of a treasured cookbook. The original binding has been recovered, the spine of the book is broken and the pages are stained throughout, a testament to the many meals and desserts made from these pages. 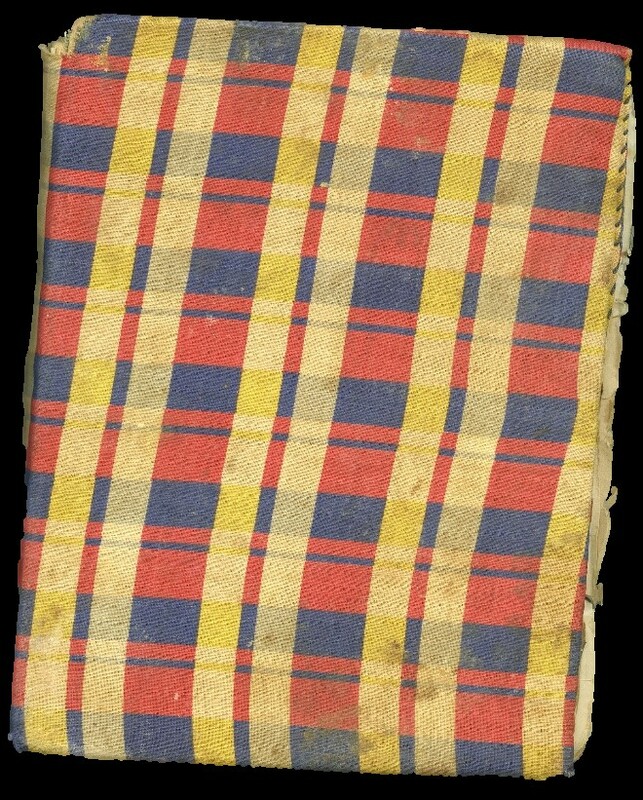 The detail above shows the hand stitching used to cover the book with cloth. The Rumford Complete Cook Book was first published in 1908 by the Rumford Chemical Works, in Rumford, Rhode Island, to promote their baking powder. The author, Lily Haxworth Wallace, was a well-known cooking expert. A graduate of the National Cooking School in London, England, Ms. Wallace moved to the U.S. about 1900 where she became an expert on American cuisine. She authored several cookbooks and was a regular contributor to the women’s magazines. The Rumford Cook Book was reprinted many times; 40 editions were published from 1918 to 1947. 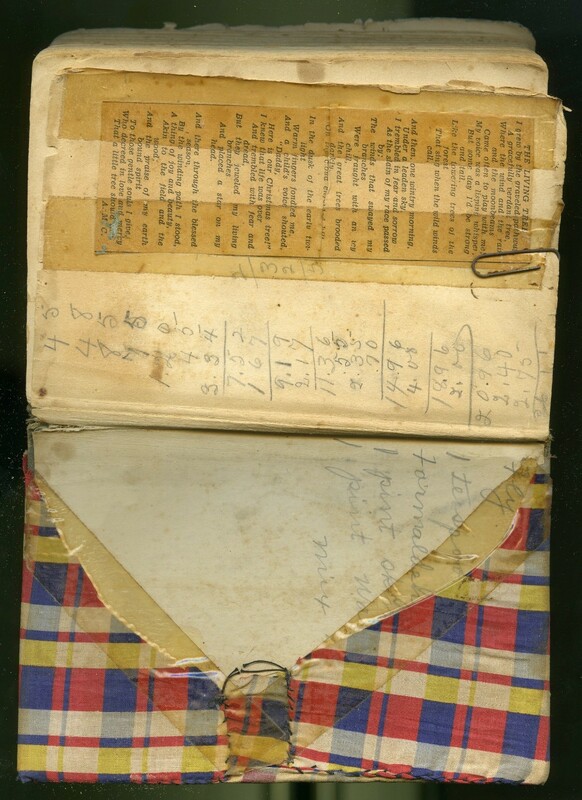 The inside back cover shows how the cloth was sewn over the boards. 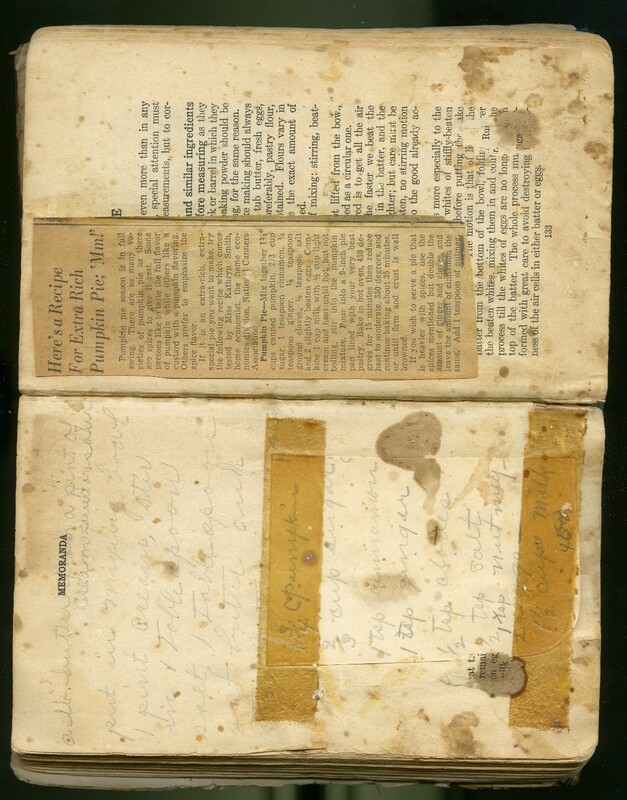 A recipe is jotted onto the back cover, some figures have been added to the endpaper along with a clipping of the poem, The Living Tree. 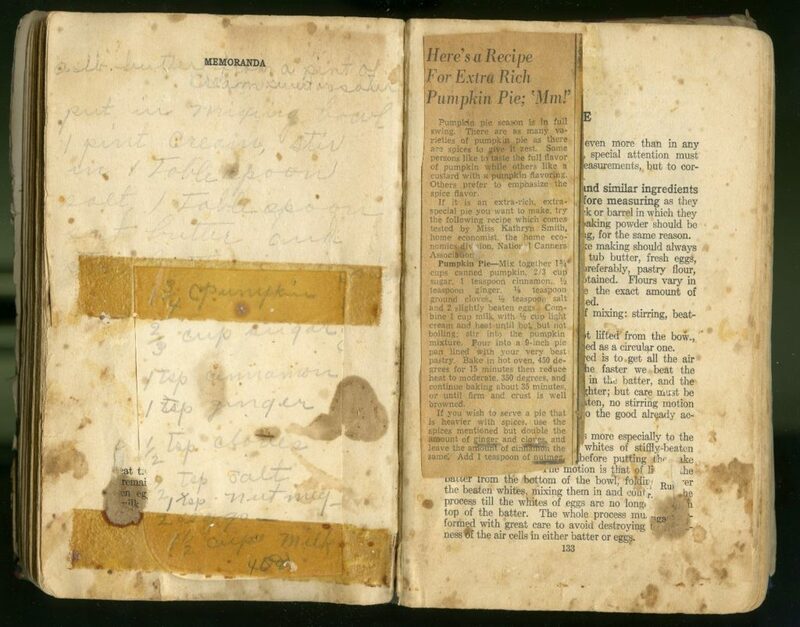 Although there’s no title for the handwritten recipe on the right in the image below, from the list of ingredients it looks like a recipe for pumpkin pie. The cook has pasted another pumpkin pie recipe over the next page. Both recipes include ginger, cinnamon, and cloves, the traditional pumpkin pie spices. 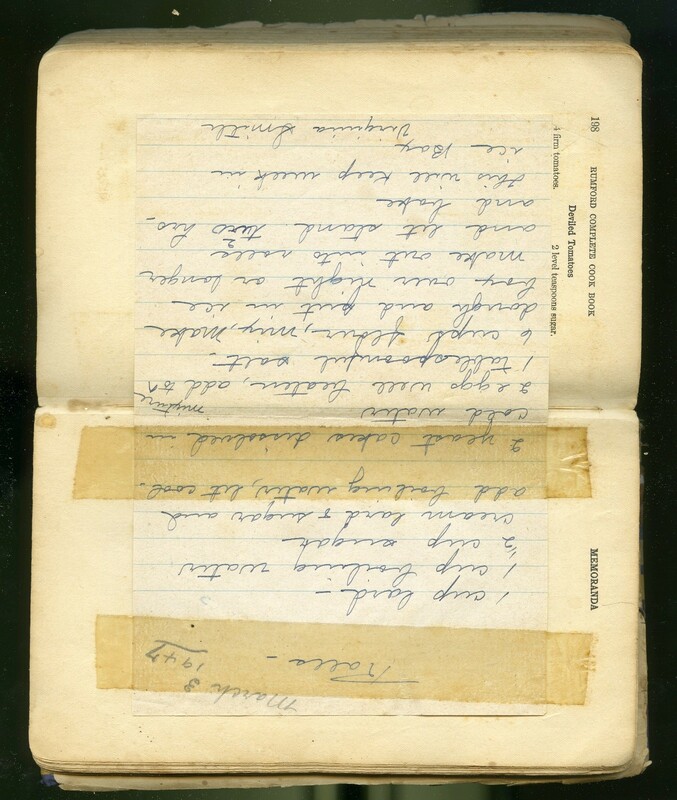 This recipe for rolls has been handwritten on a separate sheet of note paper, taped across two pages of the Rumford Cook Book and dated March 3, 1947. 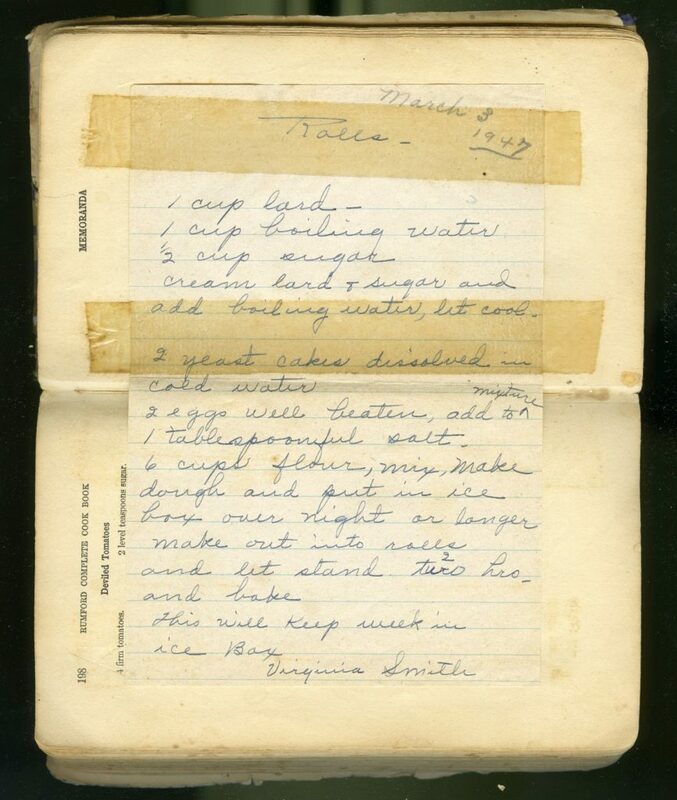 The name, Virginia Smith, has been written at the bottom of the recipe. This book was more than an essential cook book for the owner. 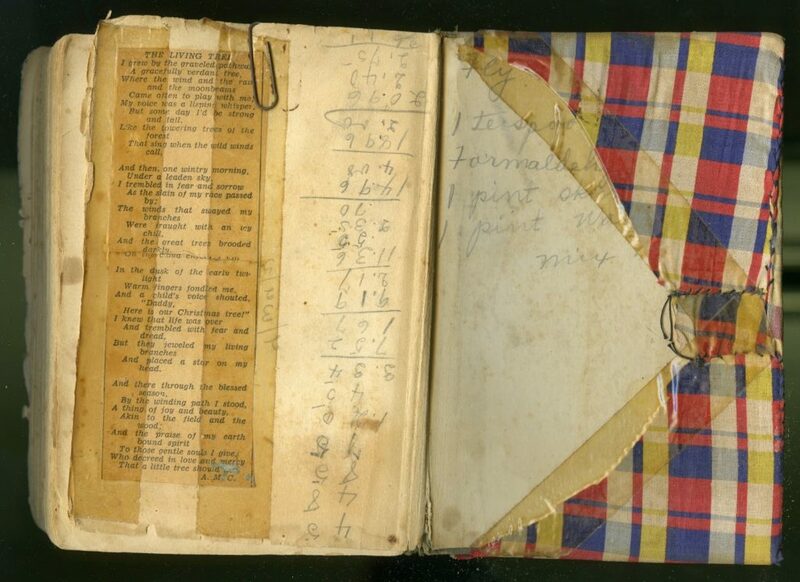 It also contained clipped copies of poems and inspirational sayings. A Mother’s Day card has been slipped between the pages. Baking must have been a favorite part of this cook’s repertoire as most of the added recipes are for breads, pies, cookies, candies, and frostings. Recipes for lemon pie, vanilla drop and peanut butter cookies, raisin pie, spice cake, fudge frosting, baked bananas, as well as light bread, and corn bread are all handwritten. Another recipe written on an index card from Jane Davis makes 70 cookies. Mustard beans, lima beans, and corn recipes for canning are also included as are recipes for barbeque beef, tomato catsup (sic), and greens. Cook 30 minutes or longer, seal up. If you’d like to see this cookbook, please call and make an appointment with rare books curator, Stewart Plein. You can also stop by the West Virginia and Regional History Center to see our collection of West Virginia cook books.